Kwadwo Nkansah LLiwlin Built Big School To Collapse Kwaku Manu’s School? There seems to be a conflict of interest as some people have alleged that Kwadwo Nkansah a.k.a. is also establishing a school just to compete and possible collapse Kwaku Manu’s school. Although, it is hard to ascertain the actual fact, one might be forced to believe the allegation because Lilwin in the past weeks has been in the news for various bad reasons. Lilwin suffered some bad media reportage because his own colleague actors in one way or the other accused of him of trying to sabotage their successes. The more painful was when his wife, Madam Patricia Afriyie openly bad-mouth the actor and tagged him as a wife-beater among others. The current allegations by some group of persons that Lilwin just want to collapse Kwaku Manu’s school can’t be overlooked. 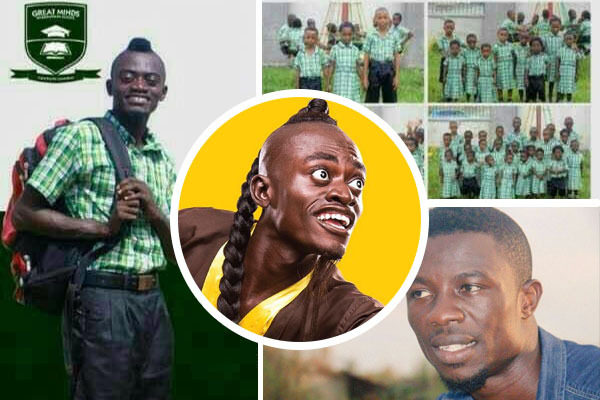 The name for Lilwin’s school will be Great Minds International school. This blog promises to do proper investigations and come out with all the findings.